There are several established pilgrimage destinations in England – Canterbury, St Albans, Iona, Holy Island and Walsingham. The Peak Pilgrimage is a new idea, but the origins of the Peak Pilgrimage are ancient. Eyam has a sense of being a holy place because of the sacrifice of its people in 1665 when they refused to flee in the face of the plague that arrived from London in a consignment of cloth for the village tailor. Led by the rector, their self-sacrifice motivated by their Christian faith saved the surrounding area but cost about a third of them their lives. 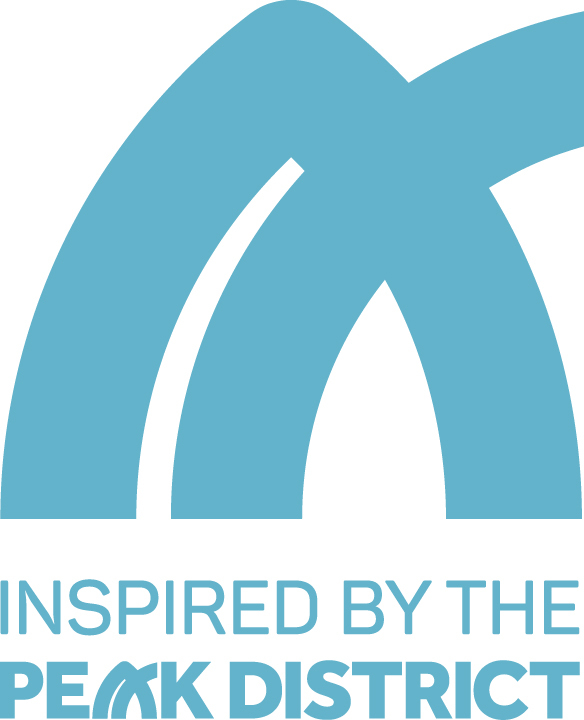 Up to 100,000 people a year now visit Eyam and become fascinated and inspired by their story. But it is a far deeper experience to visit as a pilgrim than a tourist. “The Lord is my shepherd, I shall not be in want. He makes me lie down in green pastures, he leads me beside quiet waters, he restores my soul” (Psalm 23v1-3). Of course if it rains for three days, your boots leak and your rucksack is too heavy you might feel this therapeutic idyll is passing you by! So good luck with the weather but at least there are very few exposed sections along the way and there are plenty of nice dry cafes, pubs and churches to shelter in. And remember – no rain means no quiet waters and no green pastures to enjoy! 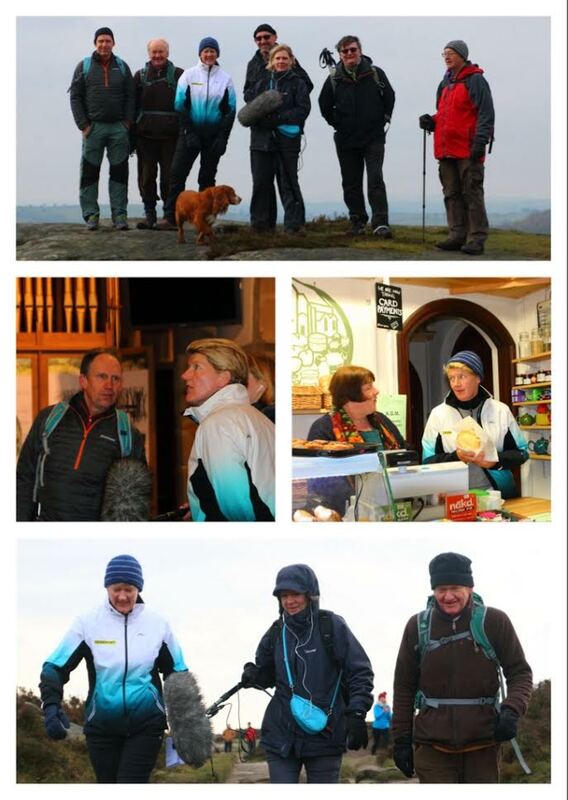 It was the night before the Peak Pilgrimage team were due to meet Clare Balding at Curbar Gap to walk the last seven Pilgrimage miles with her, recording our conversation for the Radio 4 programme ‘Ramblings’. The weather forecast said thick snow but our publicity genius, Simon, decided this wasn’t good enough and announced he would pray for good weather instead. The day dawned bright and clear with not a drop of precipitation until we were walking in the door of Eyam church. Simon’s prayer-power over the weather is now legendary. Let us know if you can pull off the same trick on your pilgrimage! Clare was a delight to have as a walking companion as she quizzed each of us in turn about our part in the creation of the pilgrimage and about the walk itself. Mike the crazy current Rector of Eyam (you’ll find out a lot more about him if you buy the walking guide), deciding that perambulating on the top of Froggatt Edge was too tame, dropped down to the base of the rock climbs and shinned up something silly sans rope, something which seemed to grab Clare’s attention. After a picnic stop for first lunch we refreshed ourselves again at the lovely shop and café in Grindleford Church before heading out for Stoney and Eyam. Most of the time, thanks to a woolly hat a bit too large for her, Clare managed to walk incognito, but she certainly generated excitement among a ‘Duke of Edinburgh’ group who spotted her. If you do this stretch of the pilgrimage look out for Clare’s entry into the visitors books at Grindleford and Stoney, and the Pilgrims’ visitors book in the dedicated box file at Eyam. The programme was broadcast on Radio 4 at 3pm on Maundy Thursday, 24th March 2016. If you missed it you can always catch up with it on that fancy catch up system on the BBC website. There are a number of ways to get to Ilam (see options) but a few of our pilgrims have had trouble reaching Ilam by public transport. There are, however, bus services from various parts (Derby, Nottingham, Stoke, Matlock, Buxton etc) to the nearby delightful market town of Ashbourne. The walk from Ashbourne to Ilam is every bit as entertaining and beautiful as any stretch of the pilgrimage route itself so why not stretch your legs on an introductory five mile stroll before tackling the pilgrimage itself? Welcome to the Peak Pilgrimage! There are higher mountains, steeper tracks and greater walking challenges in other parts of Britain, but nowhere is the walking more lovely, relaxing, accessible and soul-restorative than in the Peak District National Park. So this is a journey for anyone who likes walking, and it can simply be enjoyed at that level. But it has an added twist – this is also a pilgrimage walk designed as a spiritual experience. This is neither dreary nor frightening because pilgrimages are meant to be fun! This invitation to come on pilgrimage to Eyam comes from the church and people of Eyam because we would like to share our story and our village with you. That is why we have developed the Peak Pilgrimage – to help you have a wonderful experience of the Peak District National Park, then of Eyam, and also of God along the way. A pilgrim is a traveller on a journey to a holy place. A pilgrimage is spiritual fun and has three parts: the journey, the destination and the return home. On the journey as you let go of your normal routines and security, you can become more open and receptive to God. At the destination you can meet with God in the holy place that feels like a thin spot between heaven and earth. Returning home to your daily lives you will hopefully have been strengthened and changed to live life better. Some pilgrims may even have a life-changing spiritual experience, finding or renewing their Christian faith.